Doreen Virtue holds B.A., M.A., and Ph.D. degrees in counseling psychology, and is a lifelong clairvoyant who works with the angelic realm. She is the author of the Healing With the Angels book and oracle cards, Archangels & Ascended Masters, and Angel Therapy®, among other works. Her products are available in most languages worldwide. Doreen has appeared on Oprah, CNN, The View, and other television and radio programs. 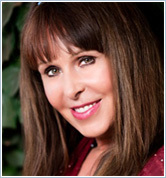 She writes regular columns for Woman’s World, New Age Retailer, and Spirit & Destiny magazines. For more information on Doreen and the workshops she presents, please visit www.AngelTherapy.com. Brian Felsen is a very creative guy. Smart and able to create things that work. He has Wworked at CD Baby | BookBaby | HostBaby, BookBaby, CD Baby, HostBaby, Disc Makers, Philadelphia Music…Here's an interview with him.